HARRISBURG, Pa. (CNS) — In a 6-1 decision Dec. 3, the Pennsylvania Supreme Court said the identities of some clergy accused of abuse that were redacted from a grand jury report issued in mid-August must remain permanently blocked from release. “We conclude … we must make permanent the redaction of petitioners’ identifying information … as this is the only viable due process remedy we may now afford to petitioners to protect their constitutional rights to reputation,” Justice Debra Todd said. Lawyers for 24 priests named in the report said their clients fought the release of their identities because they said they “were denied an opportunity to appear before the grand jury to defend themselves, question witnesses, or provide contradictory evidence,” the Pittsburgh Post-Gazette reported. “They later argued that the report received so much publicity that it poisoned public opinion against their clients. The only solution, they contended, was to permanently block the names,” it said. Six of the justices agreed with their petitioners’ argument. The lone dissenter was Chief Justice Thomas G. Saylor. In a statement after the ruling was handed down, he urged the bishops of the priests’ respective dioceses to release the names. 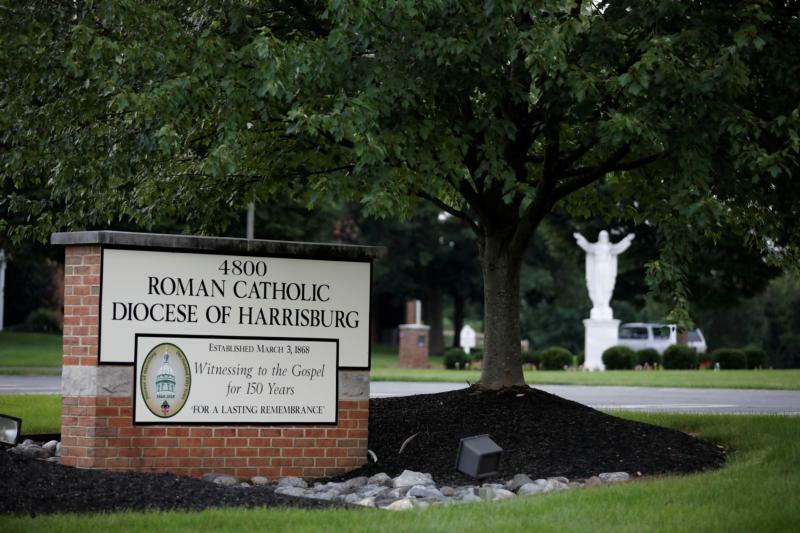 Legal wrangling over release of the names began in June, when Pennsylvania Attorney General Josh Shapiro announced he planned to release in its entirety a long-awaited grand jury report on abuse claims in six of the state’s Catholic dioceses. The report was the result of a months-long investigation by Shapiro’s office. More than 1,000 pages long, it covers a 70-year period beginning in 1947 and details sexual abuse claims in the dioceses of Harrisburg, Pittsburgh, Allentown, Scranton, Erie and Greensburg. Before Shapiro could release the report, the state Supreme Court ordered a last-minute stay after several clergy members who were named — but not charged — in the report argued that the document, if released without their comment, would violate their constitutional rights. The court’s Dec. 3 decision revisited the July ruling, which was only a temporary stay on the release of the names in question. “Because the report contains numerous allegations involving the reprehensible behavior of a multiplicity of individuals, we deemed the cumulative effect of those allegations as likely to inflame a reader’s ire, and, thus, impede his or her capacity to evaluate the credibility of an individual’s response,” Todd wrote in the new decision. “Petitioners also aver that they have been irrevocably tainted by public statements of the attorney general regarding their pursuit of this litigation,” she said.